Continued from part 1, which also describes the methodology behind this list in case the title doesn’t make it clear. Newer entries will be labeled u1, u2, u3... uX depending on when I add them, so use your internet word searcher and check back in several months to follow my ongoing chronicle of the best that Hollywood has to offer. Links to other sections are appended at the bottom. The helicopter scene alone merits a spot on this list. And Emily Blunt doing pushups. Is there something on her face? 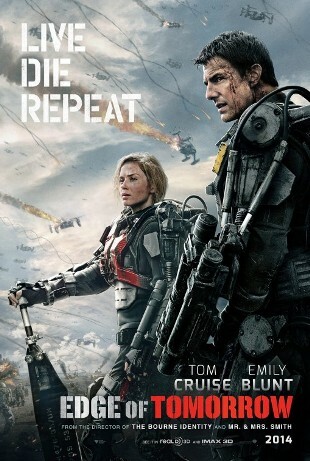 Too bad Emily Blunt had to go and make such a dumbkopf of herself. Old but complete review here. 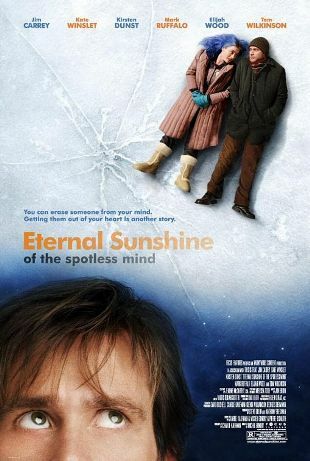 A very sad yet very wonderful movie. 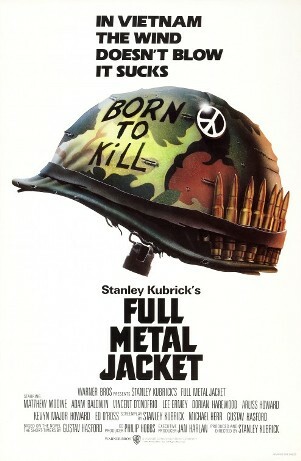 Spielberg’s historical magnum opus, much better than the also strong Saving Private Ryan. 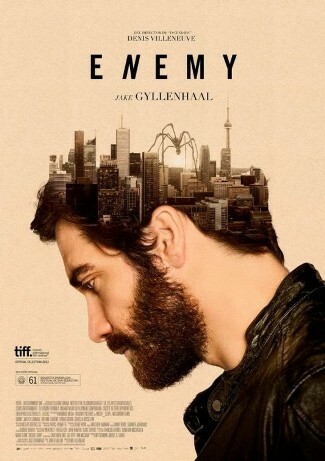 Jake Gyllenhaal plays two physically identical characters, or two versions of the same character, depending on how you try to make sense of the story. I don’t know why people think this is slow-paced. 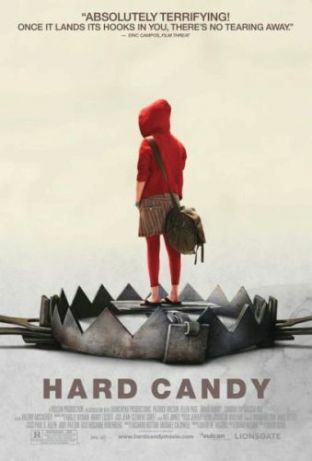 Of all the nonsensical, symbolism-fueled arthouse pictures I’ve seen, this is probably the most riveting. I’m not really convinced that it’s a split personality movie. I really want it NOT to be another split personality movie. A very imaginative and experimental movie about love, memories, and how our past defines our present. Charlie Kaufman is kind of an annoying artsy-fartsy hipster (see the movie he wrote about himself writing the very movie that you’re watching), but bravo to him for pulling this script off. Unpredictable, thought-provoking, and extraordinarily beautiful robot movie that exploits modern liberal sensibilities on the rights of the nonhuman and shockingly rejects those sensibilities in the final act. It doesn’t wield quite as much staying power on second viewing, but then what movie does that packs so many astonishing, last-minute twists? The less that’s said about Mr. Brainwash, Banksy, and the other street artist icons mythologized by Exit Through the Gift Shop, the better, because their documentary is a bit of a trip. The story told herein seems too outrageous to be true, and that’s kind of the point. People have debated how much of Brainwash’s journey is real and how much is a carefully constructed fabrication of director Banksy, whoever he is, but the crucial moment in the drama – people lining up in droves to fork over massive sums of money for what’s essentially a worthless piece of hodgepodge, mishmashed junk – is completely factual. 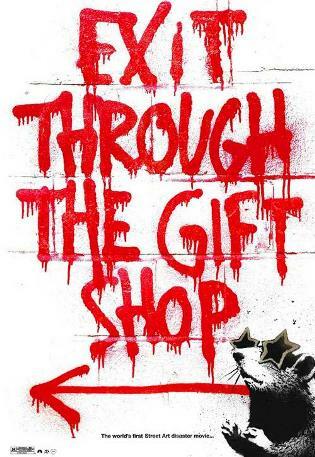 Exit Through the Gift Shop is in essence a movie about marketing and all the trickery involved, so why do so many people care if the movie itself is an engineered work of entertaining trickery? Maybe art is just a joke, but doesn’t the art of deceiving stupid people lie at the core of all American politics and commerce? The stop-motion Wes Anderson comedy with talking animals we never knew we wanted. What the cuss kind of movies list would this be without it? Really old review from the dark days of The Author’s Files featured here. Read it to see how far we’ve come. All the sentences are just like this one and the one after it. They start with a noun, follow with a verb of being, and end with an adjective describing the noun. That kind of writing just isn’t very interesting. Even for a wild animal. These two go rather hand in hand, both aiming to expose a darker and more worldly aspect of high school that’s often glossed over in the genre, and not in a crass, extravagant way a la 21 Jump Street but with a sobering maturity and sincere awareness of real social faults. Teenagers in both these films are accurately and/or idealistically portrayed as horny, malicious, power-hungry, jealous, injudicious, petty, rabidly sexual beings. 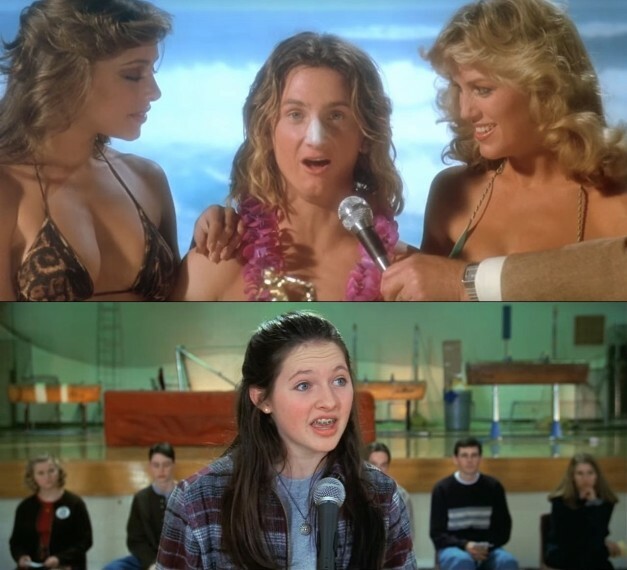 Fast Times is particularly renowned for a poolside fantasy experienced by Judge Reinhold, Election deals more frankly with the reality of pervy high-school teachers than perhaps anything else, and young Reese Witherspoon is anything but America’s sweetheart in the latter movie. I prefer the satiric Election for all the political observations it milks from student government proceedings, though both are strong pictures of young adults’ life in their respective periods. Fast Times originally left a sour taste in my mouth because of how lightly it ended up treating abortion, but then I mulled it over for a longer time and ceded that the movie’s not really concerned with judging any of the characters, just with honestly depicting moral dilemmas that many people really face in high school. 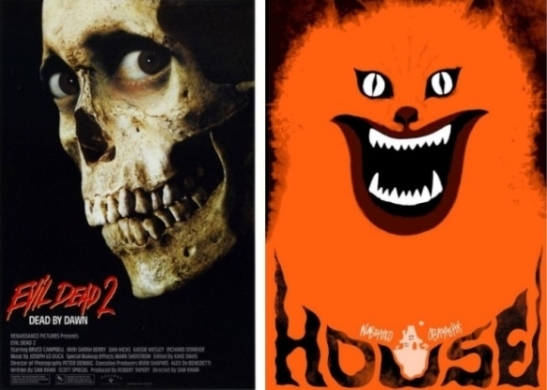 Both these movies do this very effectively. Superbly entertaining to watch, with captivating, moody cinematography, snappy writing, and great performances, while also being thematically perplexing enough that people fifteen years later can still argue about what the heck it really means. Regardless, it’s mostly great for being so slick and absorbing. See the outro scene that made a Pixies “fan” of everybody for the prime example of how to end a movie with a bang, like literally. I am Jack’s remnants of a once brilliant mind blown to smithereens. For a special effects-driven movie about a scientist turning into a human fly, this was surprisingly emotional and effective at making me care about Jeff Goldblum’s tragic metamorphosis. No one questions the enduring magnificence of its revolting makeup and prop design, but it also packs one of the saddest endings ever put to screen. Me love this movie long time. 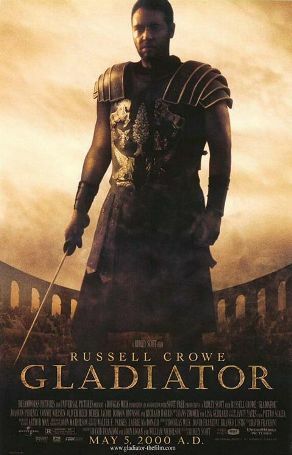 Russell Crowe has so many good lines within this film, it’s almost tragic that he’s just a made-up movie character. And who could forget what a sickly, horrifying creepazoid Joaquin Phoenix made as Commodus? I would say they just don’t make them like they used to, but then I’d fall into the trap of romanticizing the movies of the past as exponentially, universally superior to the movies of the present, which they most definitely aren’t. Unless the older movie is directed by Sergio Leone and scored by Ennio Morricone. Mrs. Robinson is the most attractive of all Dustin Hoffman’s parent’s friends, but he thinks she’s trying to seduce him. A very messy, nontraditional story of free spirits falling in love and running away ensues, resulting in a fabulous fusion of everything that makes a movie stand out as a movie. Really old, unexhaustive review here paired with commentary on Shrek. It’s funny, stylish, emotional, occasionally beautiful, and laconically sums up the philosophy by which any man should live: “I can promise you two things. One, I’ll always look this good. 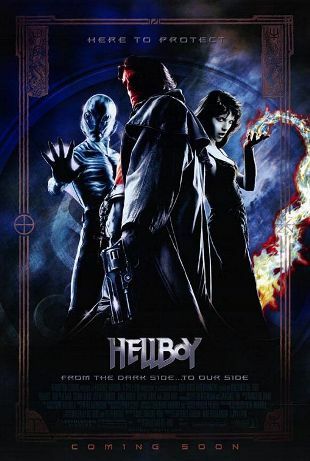 Two, I’ll never give up on you.” Hellboy 2 is also visually creative and entertaining fan service but can’t compete with the originality of the first, which I just realized is not an origin story. 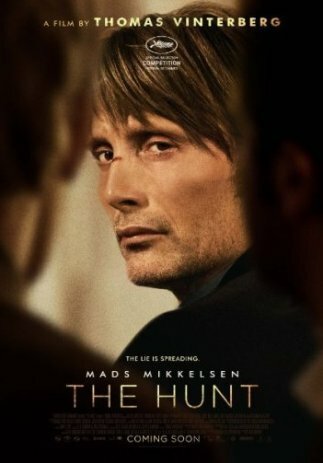 Probably the most intensely sensual film I’ve yet seen, it portrays a man’s longing for intimacy without any of its trials, disappointments, or uncertainties. It may be early to make this call, but ten years from now, Her will also be recognized as one of the most prescient cinematic visions of the future, taking a slightly exaggerated version of our present, cell phone-addicted society and forming an all too probable conclusion about the corrosive effect technology will continue to have on human relationships. I almost cried. A very interesting, little remembered film starring Dustin Hoffman, it’s basically about what makes a person good or bad, whether it’s a pattern of behavior that we sustain throughout our day-to-day life or the momentary choices we make in times of extreme tribulation. 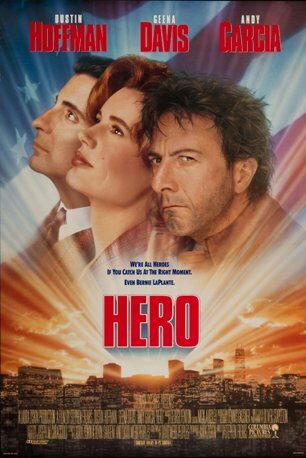 I don’t know if I’ve seen a movie that exudes more epicness than Hero. 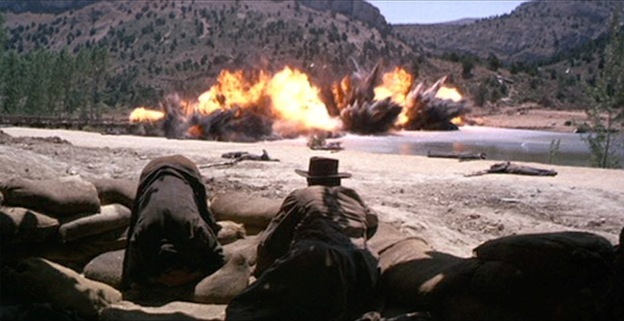 Every shot is designed for maximum visual sensation, and not in the aggressive, Rick Berman fashion of shoving unnecessary crap into the frame for the sake of “denseness”, but in a gentle and caressing manner that seduces your eyes with the splendor of the colors, the hugeness of the settings, and the fantastical beauty of the cinematography. 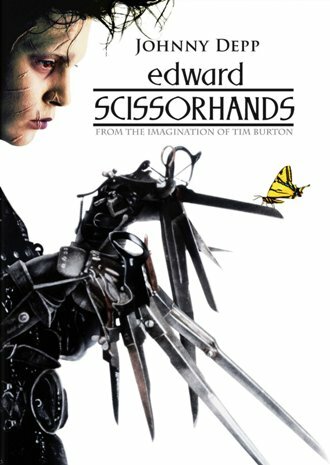 Aside from being a landmark work of photographic art, it’s also a great film to show any aspiring creative writers, weaving a nonlinear, not always objective story through multiple layers of flashbacks and eschewing a traditionally happy ending for a much more somber resolution open to individual interpretation. Let me tell you girl scouts a story. 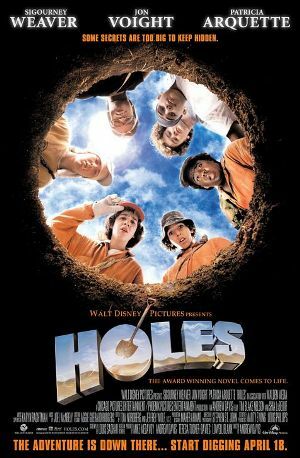 Once upon a time, when I was just a little kid who couldn’t watch most PG-13 and R movies, there was a magical movie called Holes, where it (almost) never rained, where there was a surprising amount of killing and starving and danger for a Disney film, where Shia Labeouf was just a cool teenager. Louis Sachar’s script simmered with memorable one-liners and characters. The end. 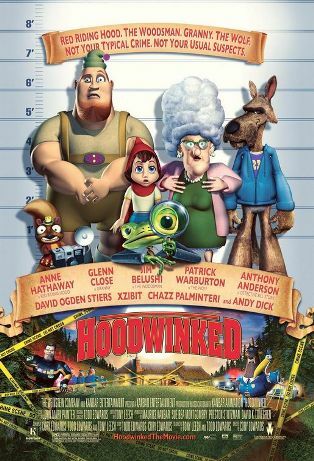 If you think that Pixar movies are the pinnacle of creative writing in the animation medium, you’ll probably think Hoodwinked feels a lot like hot coffee, all over your neck, very, very painful. If you like layered storytelling that draws on multiple points of view, cleverly contorts existing folklore, alludes to other cultural touchstones, and tells a musical fable of going over the woods and through the river, then here’s a story I hope you’ll like. I didn’t really get the hype about this the first time I watched it in the theater with stupid 3D glasses. Then I grew up a little bit, and How To Train Your Dragon grew with me. That may be the dumbest, most falsely sentimental sentence I’ve written in praise of a film. Oh boy, I can't wait for the I's. So many great moves that start with the letter "I". Igor, I Am Legend, Inside Out, The Imitation Games, Iron Man 3. Wow, such a great letter for movies.